* Any SA Hip Hop album/mixtape/video/event/song/that was released or impactful or effective in the past 12 months. * The nominated artform must be released or occur in South Africa. * The artist/group must be South African, if not then they must have a South African work permit and their work must be produced and released in the Republic of South Africa. Originality, popularity, quality, visibility, sales, impact, melody and composition. Number of singles, quality, quantity, arrangement, innovation, impact. Endorsements or any other achievements acquired through Hip Hop. 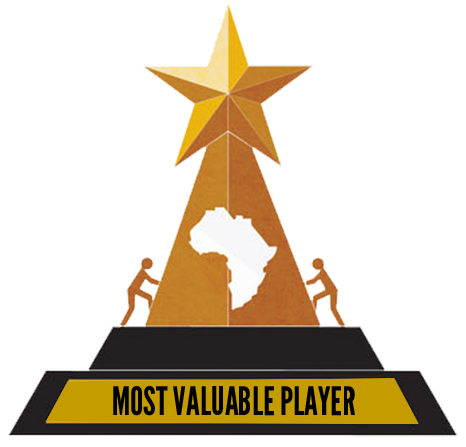 This award will go to the nominee that gets most votes from the public. The voting will be conducted in various mediums of communications. This is for an international corporate brand that is playing a role in the development of SA Hip Hop. This is a lifetime achievement award for those who contributed in the development of SA Hip Hop and are still active. Most categories are judged by panels of unpaid,independent judges drawn from the broadcast and print media, as well as freelance writers and critics, performing musicians, and from academia. Nominations are evaluated on the basis of artistic merit. Panels of influential music veterans and music fans determine the winners and nominees. Every category will be judged by different judges. ​This is for anyone making major moves that benefit the Hip Hop movement in the province. 9 awards, 1 for each province. NOTE: For a submission in any category, the material or entrants must have been active or released between 15 September2017 and 15 September 2018. A thorough consultation with record companies, distributors, promoters, radio stations, journalists, social networks and street teams in all 9 provinces will be conducted. Kasimp3, Datafilehost and other unauthorised digital releases do not qualify, except for iTunes and few other authorised releases. Preliminary judges come from a pool of local music industry professionals including musicians, songwriters, producers,recording engineers, music publishers, booking agents, program and music directors, talent coordinators and music marketing professionals. Final judging is done by music industry professionals who are not related nor connected tothe nominees or their record labels. This is for a South African clothing brand that is strictly Hip Hop. Airplay, popularity, quality, relevance, originality. The Hip Hop dance crew that achieved the most in the past year. Quality, storyline, relevance, airplay, YouTube hits. Albums, mixtapes, singles and music videos must be submitted to Ritual Media Group (RMG) in Johannesburg CBD. Hard copies ONLY, no links. Kings, Promoters, Hustlers, Dance Crews and Graffiti artists must email their portfolios with achievements from the past 12 months. PS. SONG OF THE YEAR, BEST MALE, BEST FEMALE, BEST COLLABO, ALBUM OF THE YEAR &BEST VIDEO are 50% voted by the judges and other 50% by the public. This is for the DJ who contributed immensely to SA Hip Hop in the past 12 months, be it on radio, clubs or sessions. This is for a rapper who emerged and blew up the scene in the past 12 months. Male rapper consistent in the past 12 months with radio singles, videos, performances and a solid album. This is for the most bankable artist in monetary terms through achievements. Pieces done in the past 12 months, originality, creativity and message relevance. Female rapper consistent in the past 12 months with radio singles, videos, performances and a solid album. Consistent lyricism throughout the past 12 months, solid lyrical album. This award goes to the best selling digital release. Consistent promoter with most impactful Hip Hop events in the past 12 months.